Looking for a unique piece of jewelry? Check out ChunkyBling.com! ChunkyBling has a variety of jewelry to suit your every mood! They have everything from bead rings to chunky bracelets and charm necklaces ! And now, you don’t have to wear the same boring watch each day! ChunkyBling has an incredibly versatile line of interchangeable beaded watches! These watches are great because they allow you to change your style as often as you like. 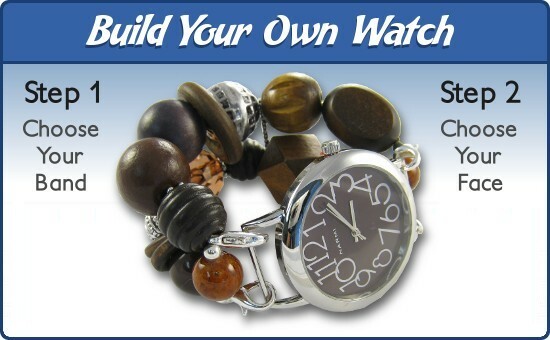 Interchangeable watches (also known as bead watches) are the perfect combination of style and versatility. Choose an elegant pearl watch for an evening out, a casual watch for daytime wear, and something fun and funky to wear on the weekend! Each of these unique looks can be achieved by matching a single watch face with a selection of interchangeable watch bands. And they are affordable! Most watches are about $32! Each interchangeable beaded watch features a set of four sterling-silver lobster clasps (similar to those found on a necklace) which can be clipped on and off of a ribbon bar watch face. With a single watch face and three interchangeable watch bands, you can create three unique looks. With three watch faces, you can create nine unique looks! Well, you get the idea. Win it! One Frugal & Fabulous Winner will receive the Interchangeable Beaded Watch of their choice! (winner may choose any combination of band and face). *Tell me what your favorite item is from ChunkyBling.com! 6. Follow @lindsfrugalfab on Twitter! You have until Friday, June 25 @ 7pm EST to enter! (Winner must respond within 48 hours.) Giveaway open to U.S. and Canadian residents only. Disclaimer: I was not compensated for this post. I am a blogger follower. I have entered your pearl giveaway! 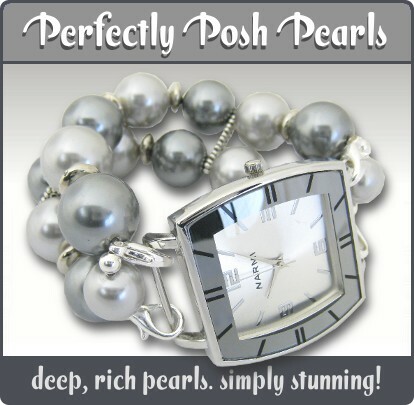 I liked perfectly posh pearls. I like the Madison Ave. watch bracelet. I named the watch... "Wooden" You Love This? I LOVE the Summer in the Hamptons watch they are advertising! Very pretty!! I entered the CSN giveaway! I entered the CSN giveaway!! I have your blog link on mine! I like the Dark Chocolate band and the Small Squashed Brown face. I called my bling "Dark Bits"
i love the classic hollywood watch band. entered name that bling contest. I love the elegant pearl bracelet. I named the latest bling "Chocolate Caramel Delight." I liked the Sassy Silver band with the Diamond Silver Face! Thanks for the intro! I entered the CSN giveaway. Wonderful Giveaway! The Citrus Explosion watchband would be wonderful!! I entered the Chunky Bling Contest & named it Mohogany Magic. i am a a fan of the holiday set. uber versatile!